Let’s cut to the chase: the greatest impediment to your own productivity is you. It isn’t that you can’t do what you set out to do or that you lack the discipline to do it. In fact, you dive right into a project. The impediment is that you are an intelligent, capable, social human being. You understand the need for office connectivity and communication, and the resultant importance of answering other people’s questions or listening politely to the latest development in their breakup or wedding plans. When someone drops by to ask you a “quick question”, you overlook the fact that it pulls you off task and focus (though for the average person, it takes about half an hour to get fully back “into the zone” after an interruption). Interruptions are just a natural part of any workplace, right? But how – especially in an open-concept office – can you reclaim your “do not disturb” bubble without offending others? 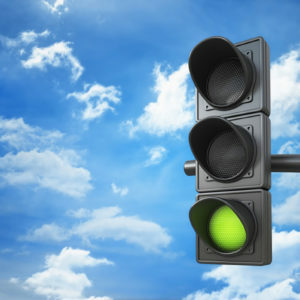 Software solutions company 10,000ft has come up with a low-tech solution – a red light, yellow light, green light personal traffic management system. You can download printable red, yellow and green cards. The idea is simple – you suction cup the appropriate card to your monitor or filing cabinet, and based on the color choice, you are inviting people to chat about anything with you for a few minutes (green light – have any break gossip or lunch plans? 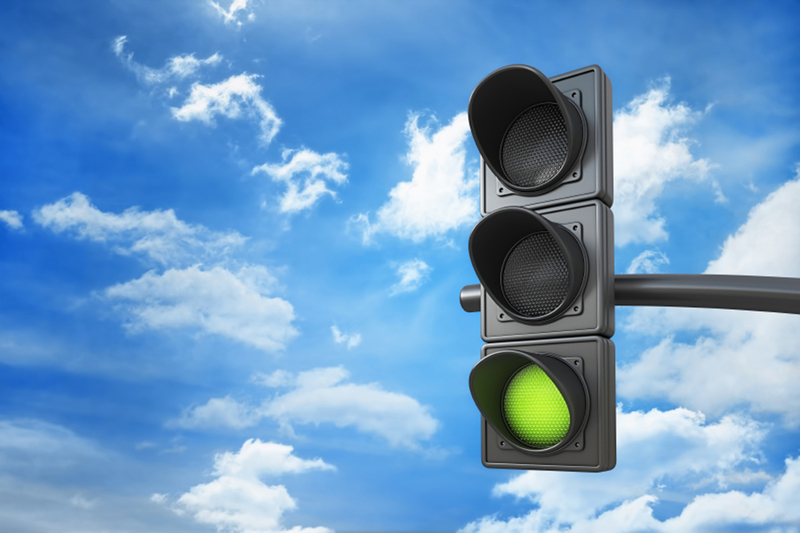 ), OR you let them know that you’re open to discussions or questions about work (yellow light), OR you post the red light – “Go Away!”. The cards are clever and only a little snarky, which adds to their appeal for some, especially when formally adopted into a workplace culture rather than being used by a solo flyer. When posting a red card, I’d also suggest a little post it attached to that indicating a better time to check back with you. Business advice writers at Forbe’s The Muse recently adopted a similar approach, and initial reports suggest that the practice of only posting a small red sign to let people know not to approach you works just as well. Anecdotal testimony from workers reveals that displaying a little red card really did boost their personal sense of control over their workday and productivity. If you want to take the exercise even further, Mindtools.com can supply you with an interruption log that you can download to track who interrupts you for what, and whether it was for an urgent or frivolous cause. After you analyze a week’s interruptions, you can decide what course of action to take to prevent unimportant interruptions in the future. Likewise, it suggests using a red-light green-light approach. In addition, Mindtools reminds of the importance of regularly scheduling meetings with people who approach you most during the course of a week with help or questions. This weekly set time gives both of you the chance to focus on the bigger picture, while complementing rather than sabotaging your schedule. Don’t forget DND options on phone and calendar, too. Team communications apps such as Slack allow you to apply a DND function to email as well, though teammates can push through a message if it is urgent. Try at least one of these approaches for a week to see if it doesn’t make a difference. You won’t have to scramble at deadline because co-workers sidelined you with less important matters. Bonus: you’ll soon be more mindful of how often you interrupt others’ workflow patterns, too. I have been trying to set up auto pay today and not one of the 888 or 866, or the 800 #’s are working. I will try the online approach now to see if it goes thru. Very frustrating!! !